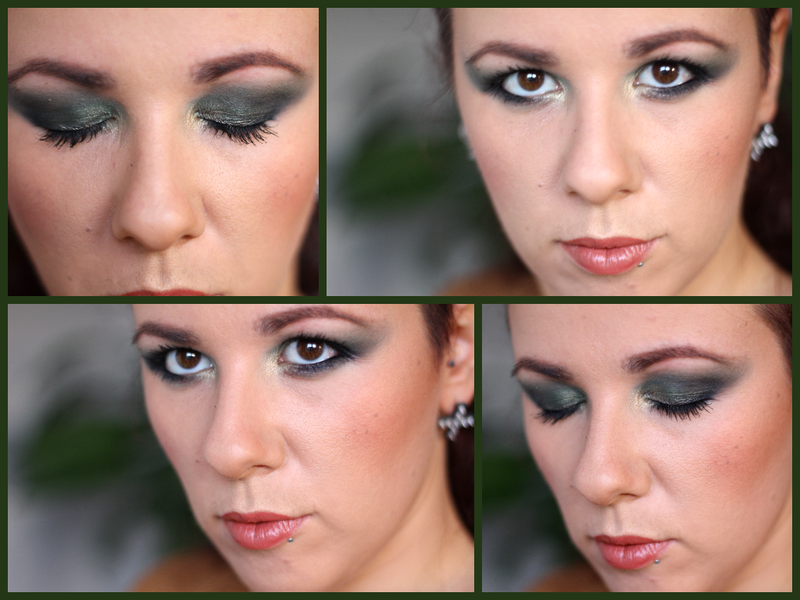 If you follow me for a while you know I love colorful makeup, and the cold months are all about colorful smokey eyes. Last weekend I had the perfect occasion for a party where I also had to play with Whatever Alice Said. I wore my favorite vintage green dress with black leather inserts and studs. In these occasions I love to play up my makeup and a matching green smokey eye with a golden highlight was perfect for the occasion! Shall we talk about how the green pops with the red hair and how my brown eyes look warmer and deeper thanks to the eyeshadow? If you read my post on color theory and eye colors red and green are complimentary and go together really well, and enhance brown eyes as well. I should wear green more often! And I have to say I’m quite happy with the contouring this time, I might be getting a hang of it finally! I believe this is a makeup that would work well in the coming festive season with all the Christmas dinners coming up! 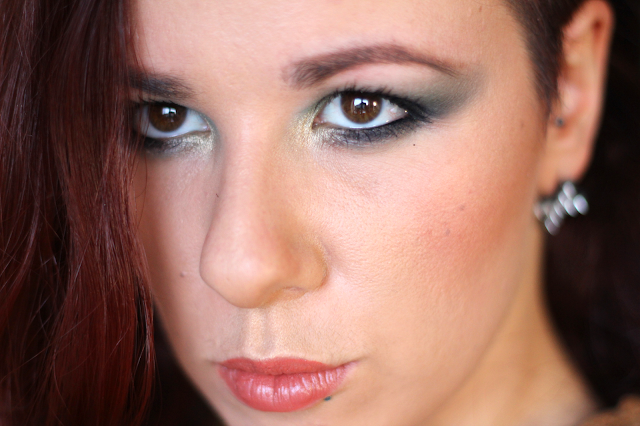 Would you wear colorful smokey eyes? What is your favorite?